Does poison ivy grow in a recognizable shape? Answer: Climbing poison ivy and gingko trees share recognizable structures in their woody growth habits. Just like the diverse variety seen in the poison ivy seeds in the section ‘seeds and seedlings’, poison ivy plants mature into a variety of distinct recognizable forms. What does poison ivy look like in its life cycle from bud to fruit? Answer: Poison ivy goes through a few different stages throughout the course of its life: from seed to seedling, shoot to sprout, runner to immature vine, to mature seed producing plant. The leaves also go through a transformation as the plant matures. 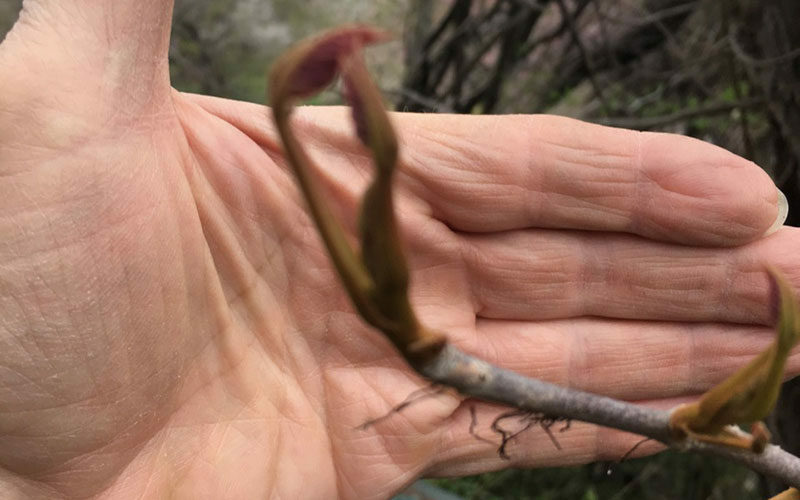 How can I recognize a poison ivy plant stem or vine in all seasons? Answer: Look for the very hairy stem, the slightly hairy stem, multi-vine hairy stems, or the smooth stem. This is where poison ivy identification gets a little tricky. Why do leaflets have different looks? The answer: Because they are doing different jobs. The baby leaves of a poison ivy seedling growing in its first year. The edges of the leaves are toothed and terminal leaf has short neck. Toothing of leaves facilitates good water evaporation which leads to quick growth. How do I recognize a poison ivy leaf? “Leaves of three must look like me.” Each of us carries around a fool-proof poison ivy identification tool: our upper body shape. Our head, neck and arms are all connected to our body. Why does poison ivy grow around my house and neighborhood? Birds and people like similar things; they like color, they like things that shine, and they are curious about finding whatever is ‘new’ in our environment. We attract them to our homes to feed them and watch them because they are beautiful and they give us so much joy. How many kinds of poison ivy are there? Across North America there are two kinds of poison ivy; climbing poison ivy and non-climbing poison ivy. 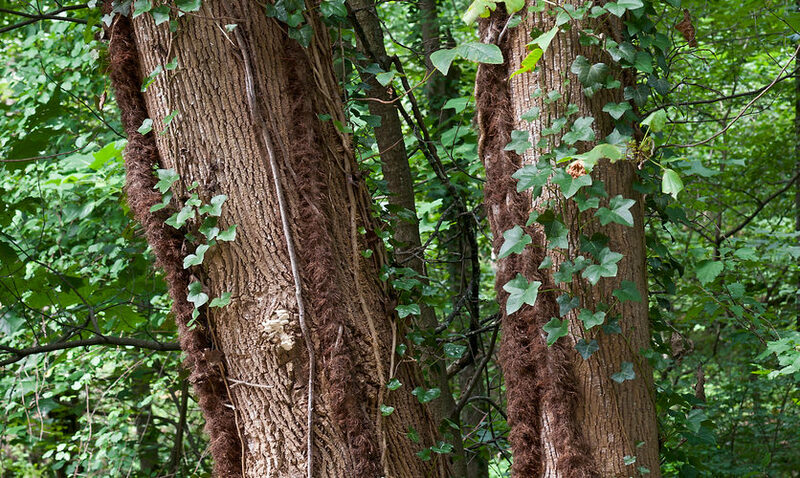 This simple fact is very surprising to many people, who — depending where they live — are only familiar with ‘their’ kind of poison ivy, climbing or non-climbing as may be the case. Why does touching poison ivy hurt me? I identify and remove poison ivy plants from residential and commercial properties in Philadelphia and surrounding regions, including the states of Delaware, New Jersey, and Pennsylvania. Umar Mycka on Why does poison ivy grow around my house and neighborhood? Byron on Why do leaflets have different looks? Byron on Why does poison ivy grow around my house and neighborhood? From the Botanical Gardens in Philadelphia, to supporting community vegetable gardens, my team is invested in helping our community grow and prosper. Sign up today for our informative newsletter and exclusive online offers. The Partners 5: a weekly web comic where horticulture meets high adventure.